Jeanne Gurney graduated from the Rush University nurse practitioner program in Chicago, Illinois with a doctorate in nursing practice in 2016. She earned a master’s degree in nursing from Rush University in 2012, and a bachelor of science in neuroscience from Bates College in Maine in 2008. 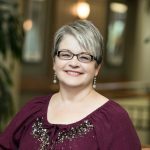 Prior to becoming a nurse practitioner, Jeanne worked as a nurse in multiple medical settings, including a liver transplant-surgical floor and emergency medicine. She also worked in mental health research at the Harvard-affiliated McLean Hospital. Today, Jeanne specializes in diagnosing and treating patients with gastrointestinal issues. She enjoys being able to help patients with complex medical problems better manage their diseases and improve their lives. 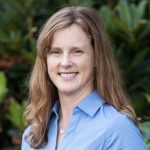 She takes a collaborative approach to care, partnering with a patient and their interdisciplinary team to arrive at the best treatment solution. Jeanne is married and enjoys spending time outdoors with her friends and family. She loves hiking, and is particularly fond of exploring the Columbia River Gorge. She also enjoys snowboarding, painting, and reading. She and her husband are currently on a quest to visit as many national parks as they possibly can.